Contrast | Where's my backpack? 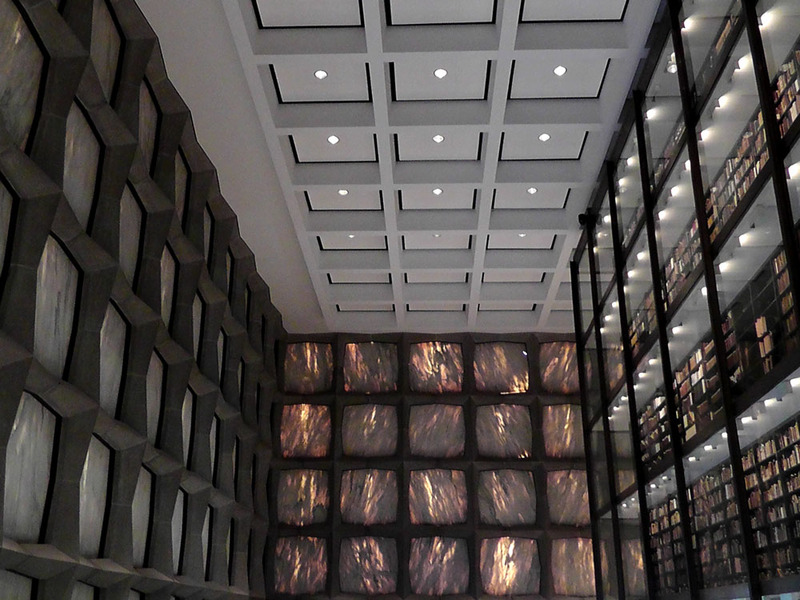 I visited the Beinecke Rare Book & Manuscript Library this weekend, and the interior is a study in contrasts. For more photos, see my previous post. This entry was posted in Connecticut, Photography, Travel, United States and tagged photography, photos, pictures, travel. Bookmark the permalink. Love this photo! Beautiful contrasts! I shall certainly keep that in mind if I ever visit Connecticut! It really is a gorgeous building. Haha, been there and |(sneakily) got the t-shirt. Nope, these guys absolutely allow photos, I didn’t use a flash though, just in case it might harm the books. Glad to hear it. See you soon! Thanks Amar, glad you stopped by. It was incredible, hope you get to see it for yourself sometime! What a great read and fantastic photos. That Ginger Rogers dress killed me.